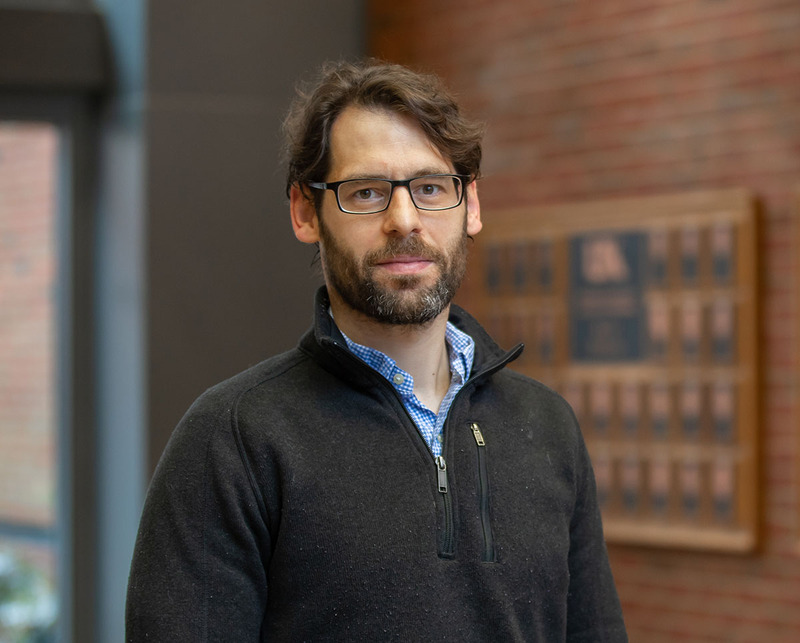 Christoph Brehm, assistant professor in the University of Kentucky Department of Mechanical Engineering, has received a 2019 Office of Naval Research (ONR) Young Investigator Award. The honor is given to academic scientists and engineers who have shown exceptional promise for doing creative research early in their career. Brehm’s project, “Numerical Investigations of Particle Interactions with Navy Relevant High-Speed Flows,” addresses the significant gap in knowledge for particulate-laden, high-speed flows, employing one-of-a-kind numerical investigations to study the interaction of particulates with high-speed flows for geometries and flow conditions relevant to the Navy. “Hypersonic flight vehicles are among the most sophisticated devices ever envisioned. The ability to effective operate vehicles at hypersonic speeds substantially reduces flight times and increases range which ultimately provides the U.S. with a long-range rapid response capability. The flow field around hypersonic cruise hardware is highly complex and contains a wide range of intricate physical phenomena, such as transitional and turbulent flows, steady and unsteady shocks, chemical reactions, particulate laden flow, etc. The ability to accurately predict the complex flow field around hypersonic vehicles and provide a sophisticated understanding of the relevant physics is essential to reduce design margins and systems uncertainties and, ultimately, guide the development of novel innovative designs. The hypersonic laminar-turbulent transition process plays a central role in the design of the next generation of hypersonic vehicles for the Navy since the state of the boundary-layer can have a strong effect on the skin friction and heat transfer as well as aerodynamic lift and moments. The transition process is very complex and can proceed in various paths depending on the mean flow characteristics and the disturbance environment. The current research proposal is concerned with providing physical insight into the interaction of the disturbance environment, specifically the impact of particulates suspended in the atmosphere, on the flow field during realistic high-speed flight conditions." Brehm joined the mechanical engineering faculty in 2016. He received a Ph.D. in aerospace engineering from the University of Arizona in 2011, and worked as a senior research scientist at NASA Ames Research Center from 2012 until 2016.